The bonanza of chicks is good news for the vulnerable seabirds. Puffins face existential challenges, but the little birds found a new role in Maine this summer: baby boomers. 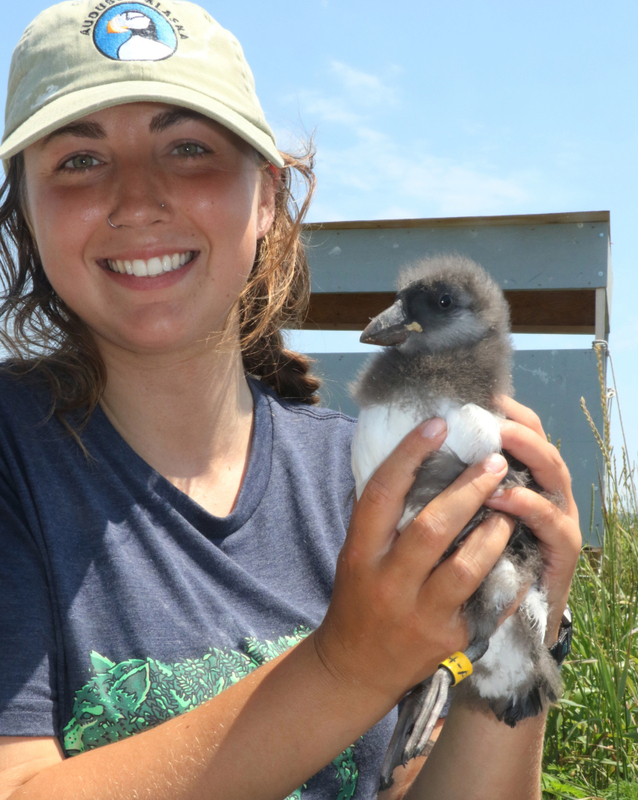 Research assistant Alyssa Eby holds a puffin chick at Eastern Egg Rock off the Maine coast in July. The Audubon Society says the birds have had an especially good year for survival of chicks. 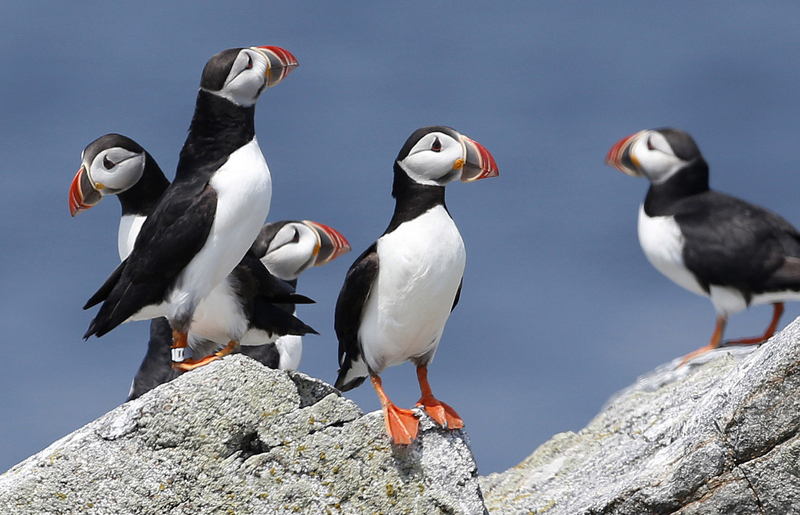 It’s rare good news for puffins in the era of warming oceans, which threatens the birds.